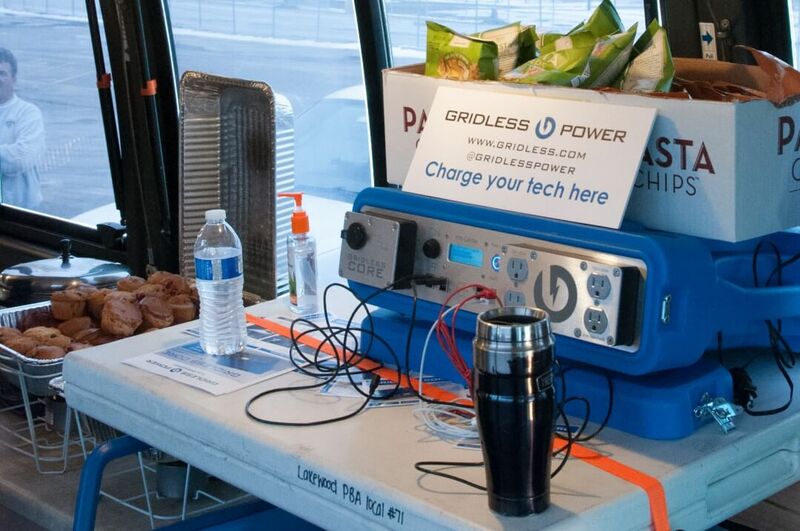 Superbowl XLVIII - Gridless Power Off-grid, clean, rugged solutions for your toughest power problems. Gridless designs solar batteries with the capacity of a generator. This past weekend, as the Seattle Seahawks faced the Denver Broncos at the Meadowlands, Gridless technology was being used by multiple agencies responsible for keeping the game safe. The Gridless team spent the week leading up to the game delivering CORE equipment and checking out the stadium before the event. Gridless Power was used by the local PBA’s support truck as well as the State Police at their command center. Gridless technology was also used to power critical communications equipment at Metlife Stadium adding to the security effort there. Gridless Power is proud to be a small part of such an iconic American event.